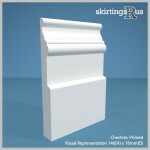 Cheshire architrave is a newer addition to our range. 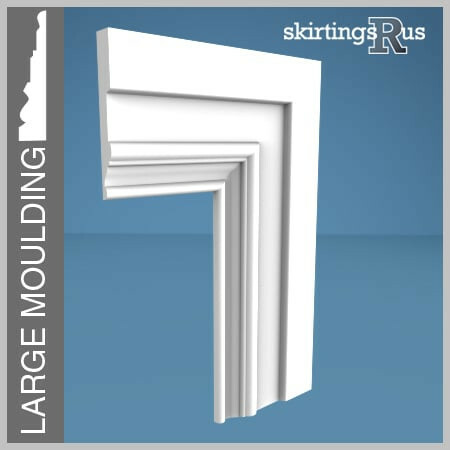 This larger moulding should be used to make a big impact around doorways. This design offers a larger area of moulded shape; therefore it will look great in rooms, which are using higher skirting board, have high ceilings and wide door ways. 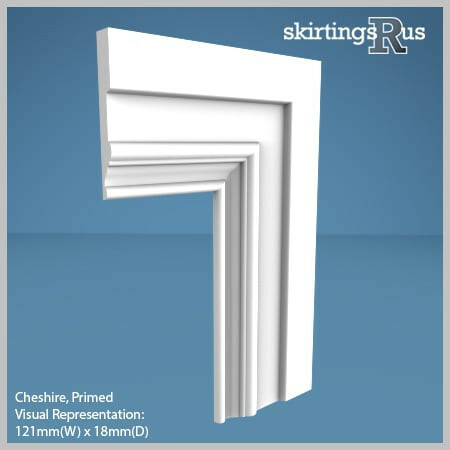 This is a wider than normal architrave (121mm), which should be considered before purchasing. Our Cheshire architrave is made of a high density, moisture resistant (MR) MDF. Cheshire MDF Architrave is available in a variety of set dimensions. We can also offer bespoke architrave widths at no extra cost. Height – Cheshire can be machined to 2 widths, 96mm and 121mm. 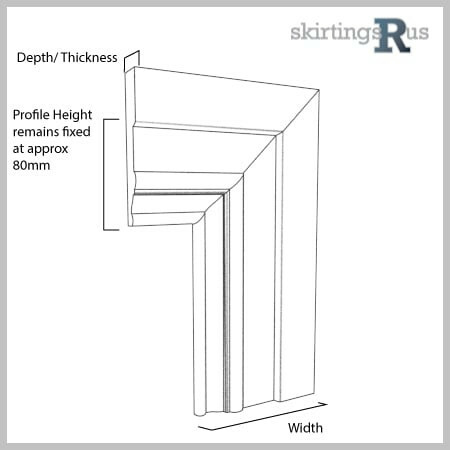 Length – Cheshire architrave can be supplied in either 2.40, 3.050m, or 4.2m lengths. Our Cheshire MDF architrave is produced in house in our midlands based factory and is machined to order from the specification options above. If you can’t see what you’re looking for, then you should know we can cut to any size and undertake bespoke requests. For more information visit our bespoke page or feel free to give us a call!